All entry fees must be paid in full to the CC ROPING account on the main site for your entry to be processed. 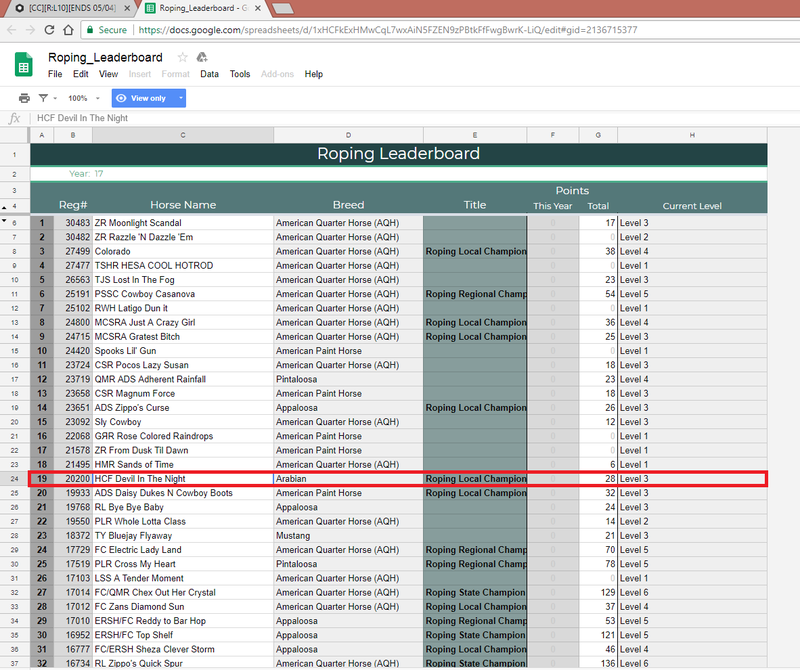 Go to the ROPING Leaderboard to check your horse's current level. Horses may enter below their level but those entered above will be disqualified and entry fee confiscated. The leaderboard shows HCF Devil in the Night's current level as level 3, but the entry list shows he's been entered above his current level and that he should be level 2. I've also just noticed that your entry card says reining, but everything else says roping. 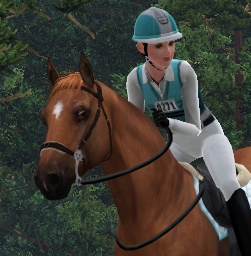 And that horse does currently compete at level 2 in reining. @Cristyne-Westwood You are absolutely right, I'm going to get this fixed immediately and all of your entries will be fixed. I apologize for the mix up!